An injured poodle who was rescued from a recycling center conveyer belt finally has a new home. The three-month-old puppy, nicknamed "Gem," was discovered by two recycling center employees last month after she arrived at a San Francisco processing plant in a truckload of recyclables. She appeared to have been thrown in a trash bag after sustaining injuries, including bites on her neck, head and ears, and abuse that left her unable to use her hind legs. Despite also being bulldozed into a pile of debris and then shaken violently by a machine that sorts recyclable materials, Gem was alert and responsive when she was found. The puppy has spent the last month recovering from her injuries in foster care, during which time San Francisco's Animal Care and Control unit conducted a lottery to find Gem a new home. 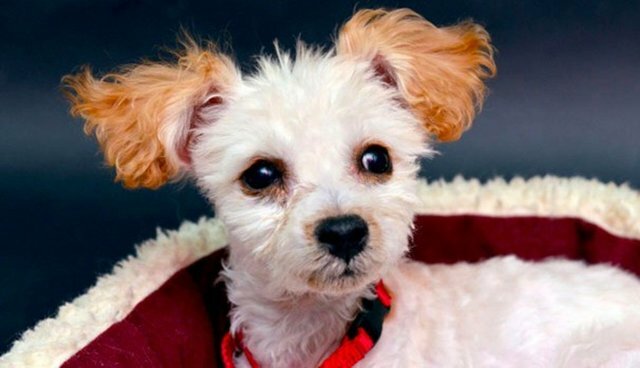 According to the unit's spokesperson, Deb Campbell, over 200 people across the country have expressed interest in adopting the tough little poodle. On Wednesday, officials announced that a recycling center staff member who was familiar with Gem's story had won the lottery. With the blessing of the two employees who recovered Gem, the winner will take her home later this week.